This top is sure to make a statement at the party! 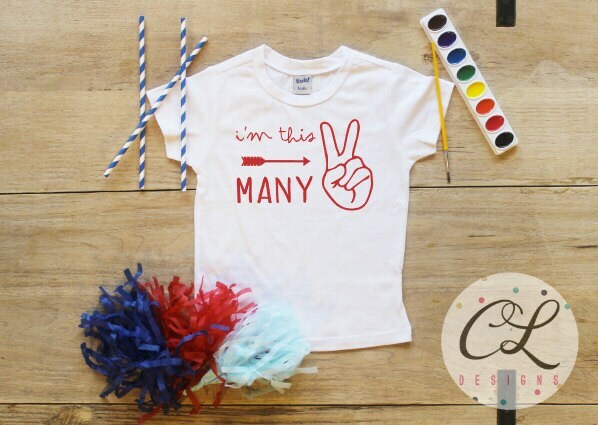 Featuring "I'm This Many" with an arrow and counting fingers, you get your choice of a white shirt or a white bodysuit. Are you giving this item as a gift? Leave a note in the "notes to seller" box during checkout, and we will include a small note card with a personalized message of your choosing. Please type out the note exactly as you want it to look. We can not be held responsible for spelling errors. 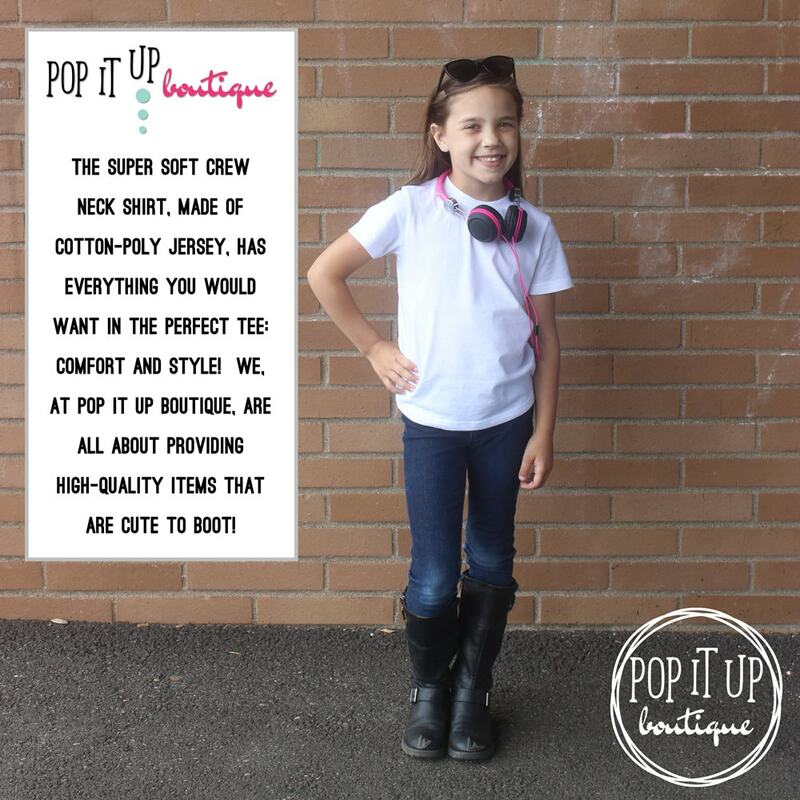 We, at Pop It Up Boutique, are excited to get your order to you! When you place your order, we begin working on it immediately. Order today before 2PM EST and your order will ship out the very next day (Monday - Friday)! If your order requires customization we ship out 1 - 3 days later as these take a bit more time to put together. Having said all that, from time to time, I will be on "vacation" and the shipping time will go up accordingly. 99% of the time, the above rings true, but please check my shop announcement, go to the "shipping" tab in this listing, or contact me if you have trouble finding either of those things for the most up-to-date shipping times. I am a graphic designer and love to work on new material. If you're not seeing exactly what you need, send me a message via Etsy and I would be happy to help! 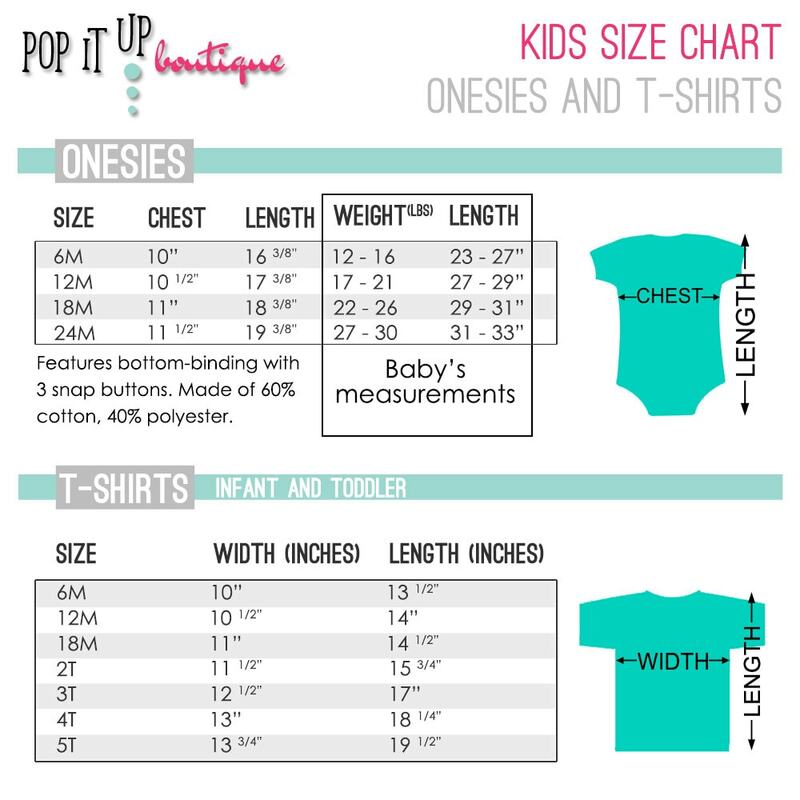 Have purchased a shirt for each of my son’s birthdays and I love them! This shirt is not only adorable but it's an amazing quality tee shirt. It's super soft and washes well it's not one that you wash and it gets short and wide. I was Leary when purchasing because of a bad quality shirt from another seller. I will continue to purchase from this seller moving forward! !